Totally, 100% FREE . To install it directly to your iOS device, tap the Install button below. If an Untrusted Developer error appears, follow the guide at the link to fix it – it will take no more than a few seconds. TweakBox is the safest installer with full SSL encryption built-in, keeping you, your device and your data secure. Although iOS 12 is full of new features, it is also full of extra security and that makes a new jailbreak even harder to produce. TweakBox is fully supported n iOS 12 and doesn’t need root access, nor does it need Cydia to work. It is safe to use, easy to install and simple to use. And you will need to provide your Apple ID when you download it; another layer of protection that ensures your warranty can’t be voided. Because you don’t need to jailbreak to use the installer, anyone can install it. Jailbreakers get back some of their favorite tweaks and everyone else gets to experience what it’s like and enjoy an unlimited stream of free content. 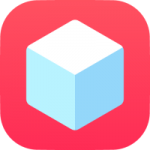 TweakBox is updated regularly to keep it safe and to add new apps and games and it is always updated to support every iOS release. This page will be kept updated with download guides and news so like this page, click Following>See First and you will always be first in line with the updates.